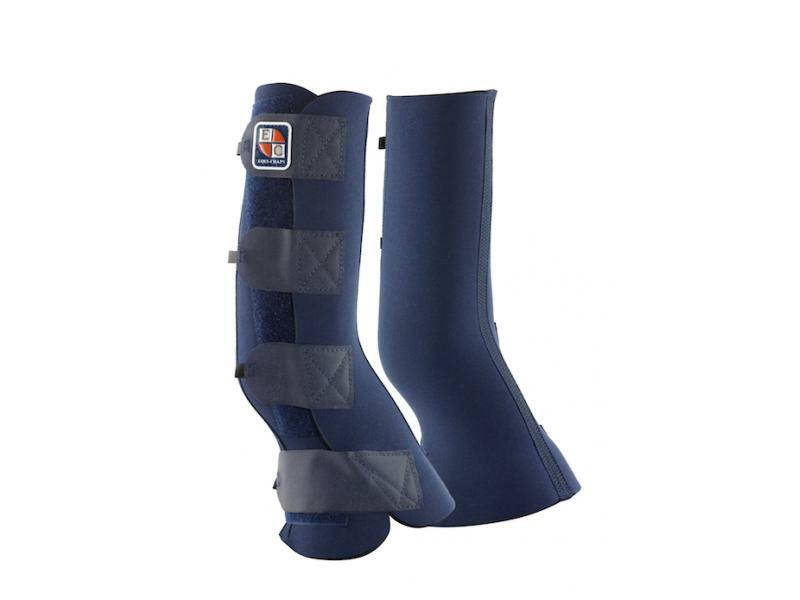 Durable and easy to clean, the fantastic Equi-Chaps Hardy Chaps offers protection from over reaches, knocks and grazes. 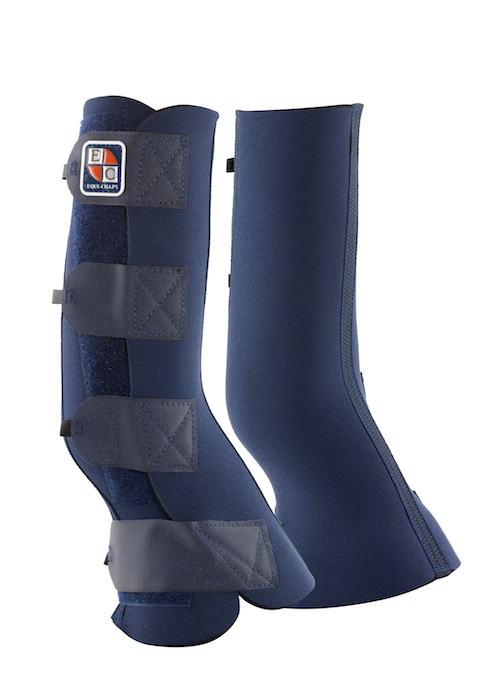 These practical chaps extend from below the knee or hock to over the hoof and heel area for superb protection from injury. Made from water resistant, fast drying 7mm Rotex, the Equi-Chaps Hardy Chaps are extremely comfortable for the horse to wear and easy to fit and remove. Ideal for accident prone and boisterous horses, as well as horses with arthritis and ringbone as they help to keep legs warm and dry. No need to fit over reach boots. Extremely durable and easy to clean. Comfortable and easy to fit. PLEASE NOTE: Hardy Chaps are made from a heavyweight non breathable neoprene. Please take care to limit the length of time that Hardy Chaps are worn in warm weather. Horse owners are advised to regularly check that the horse's leg is not over heating. There are currently no questions for Equi-Chaps Hardy Chaps - be the first to ask one!